Probably the most important routine maintenance any vehicle needs is an engine oil change. Many consider changing oil an easy “do it yourself” auto maintenance task that anyone can take on, but you might wonder why you should bother. Is there a benefit to doing an oil change at your home instead of taking it to the dealership or a quick lube place to have it done? 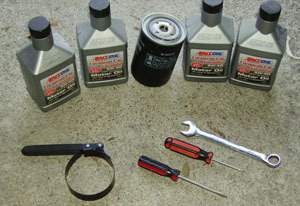 There is little to no doubt that a do-it-yourself oil change done at home will save you money. You can purchase a filter and oil for a fraction of the cost compared to the dealership. Keep an eye out for sales on oil and oil filters. Walmart is actually a great place to go to purchase 5-quart containers of oil for cheap. A good set of ramps, wheel chocks, and oil filter wrench makes the job super easy. You’ll also need some sort of oil drain container to capture the old oil and a funnel. But all these tools are one-time expenses so each subsequent oil change will just cost you whatever the oil and oil filter costs. Tip: Consider purchasing oil filters in bulk on Ebay. When buying a pack of 6 or 12, the cost per filter is a fraction of what an individual filter would be. You can do the oil change at home, meaning that you don’t have to drive to the dealership or local quick lube place. There is no reason to waste your time in commute to get the oil changed. The amount of time traveling will usually offset the time it takes to do the oil change yourself. No one likes to sit at a dealership and wait for an hour or more while their oil gets changed. If you do the oil change yourself there’s no wait at a boring dealership drinking mediocre coffee. After doing your vehicle’s oil change a couple of times, you’ll be a pro at it. You’ll be able to do it quickly and efficiently. It might end up taking you only 10 minutes to complete an oil change which is a huge savings of time when compared to the wait that most dealerships have. This is the biggest one. Doing an oil change on your vehicle will give you peace of mind because you will know that its been done right. Too many horror stories exist of the pro forgetting to tighten (or over-tightening) the drain plug or damaging your car in some way. You will know that you successfully drained all of the old oil out. You will also see the condition of the filter firsthand and know if it needs to be replaced. You will also get to pick the brand and type of oil yourself. Oils come in all type and brands (some better than others), so knowing that you used your favorite oil choice will help you feel better. The benefits of changing our vehicle’s oil is undeniable. You just have to decide if its something you want to do or not. It can be messy and it does take some time, but you will have a feeling of satisfaction once its done. 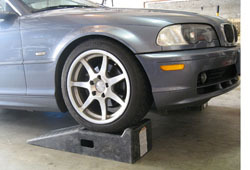 There are tools to make the job easier and the more times you do an oil change, the quicker you will get. very often, garages use bulk tank or 45 gal barrels to hold oil and get better price. Some will keep using the same oil until it is all gone in order to put the new oil grade for next season. You may get summer grade oil even late in fall season and get trouble to start during winter, or run in hot summer days with winter oil and damage your engine.